H.E. Chinese Chairman Xi Jinping announced 8 Action Plans in FOCAC Beijing Summit, declaring that China will continue encouraging enterprises investing in Africa to build and upgrade economic and trade cooperation zones. 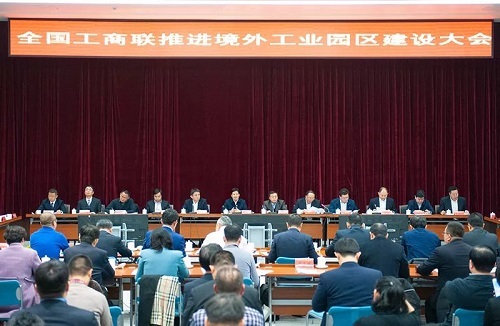 On December 12th, the conference for pushing forward the construction of China-funded industrial parks abroad was held by All-China Federation of Industry and Commerce. 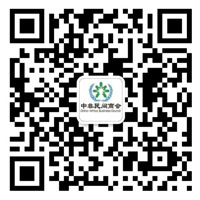 Attending the conference were more than 200 representatives from ACFIC institutes and departments, the Bank of China, China-funded industrial parks abroad, enterprises in those industrial parks and private enterprises. 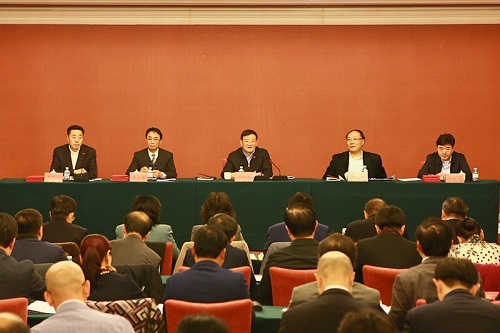 The conference was held right after the inaugural meeting of ACFIC International Cooperation Committee, which has been endue with 5 mission for next year, namely, the 2nd Belt & Road Forum for International Cooperation, deeper engagement with 2019 China International Import Expo, promoting the transformation of China-funded industrial parks abroad, organizing researches on the development of the Belt and Road by private enterprises and preventing off risks and regulating private sector’s business operation abroad.